The 18-in-1 use soap. Soap with 18 uses? 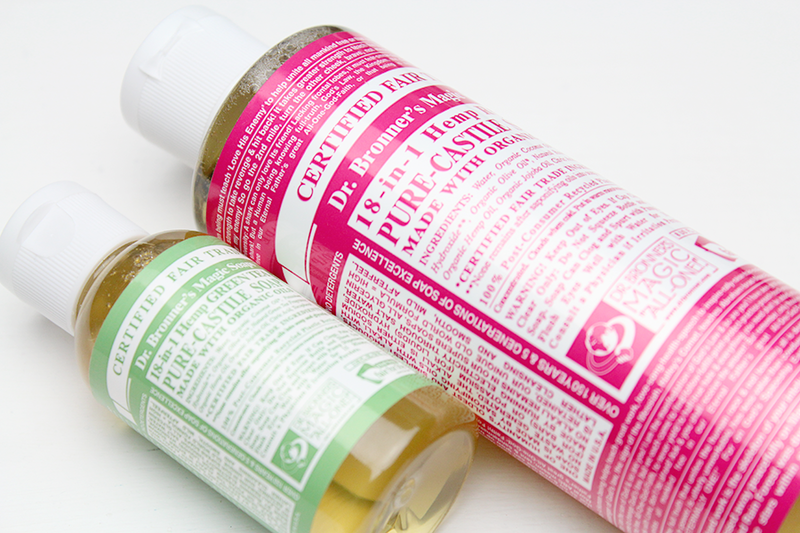 It's labeled on the bottle but the uses that are on there which have been kept intact since Bronner's passing in 1997 are listed on Dr. Bronners FAQs with the original version and the paraphrased version. Sorry but when I hear the word, soap. It's something that I don't want to put inside my mouth which is suggested for mouthwash / toothbrushing just because I've watched children had their mouth washed out with soap and yes not nice. Yet there has been noted uses more so than the ones listed above. 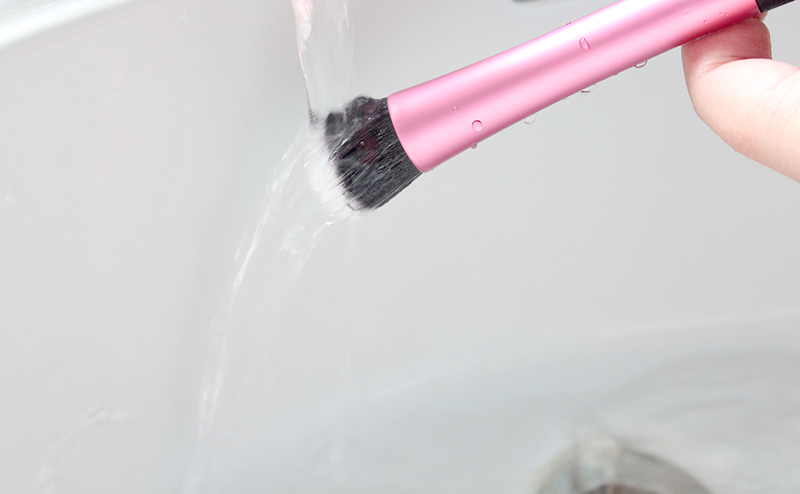 Washing make-up brushes is also one. Which I am going to put to the test. I have the Rose and travel sized Green Tea pure castile soap, I'm going to use the rose to clean my brushes and see how well they clean and feel once dry! 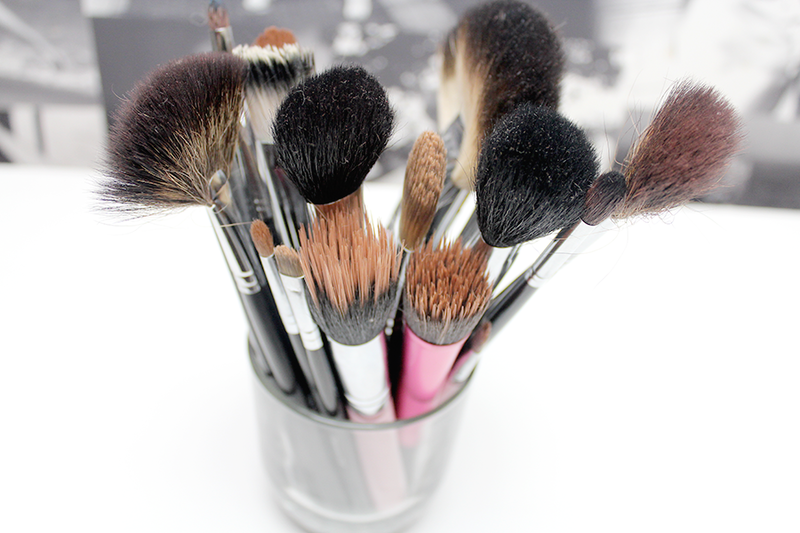 Poor brushes need a good deep clean. Normally I clean them after each use using alcohol in a spray bottle and give them a rub on a paper towel but once a week they need a deep clean my normal weapon of choice is baby shampoo. I must say Dr. Bronner's soap cleans my brushes very well and quickly. I find with baby shampoo I do tend to sit on the edge of the bath for longer cleaning them. It does help cleaning them after every use but I didn't bother after the last use as they were due for a deep clean. I'm not keen on washing my face with the soap, it left it a bit dry afterwards and that's not ideal for me. On my body it's not as bad. So I will stick to my normal cleanser for my face, instead of this. The liquid soaps consistency is thin - more watery than what you would associate a liquid soap so be careful as these can be wasted. Lathers up brilliantly even from a small amount. The scents of the two I have are not overbearing, gentle and thankfully none are lavender (: If you do ever want to travel light and need something multi-purpose, this is brilliant to have - they come in various sizes and scents so there is something for everyone. Have you tried / used Dr. Bronner's soap? I have heard many good things about Dr Bonners products but I have never tried them. 18 uses for one soap sounds incredible! 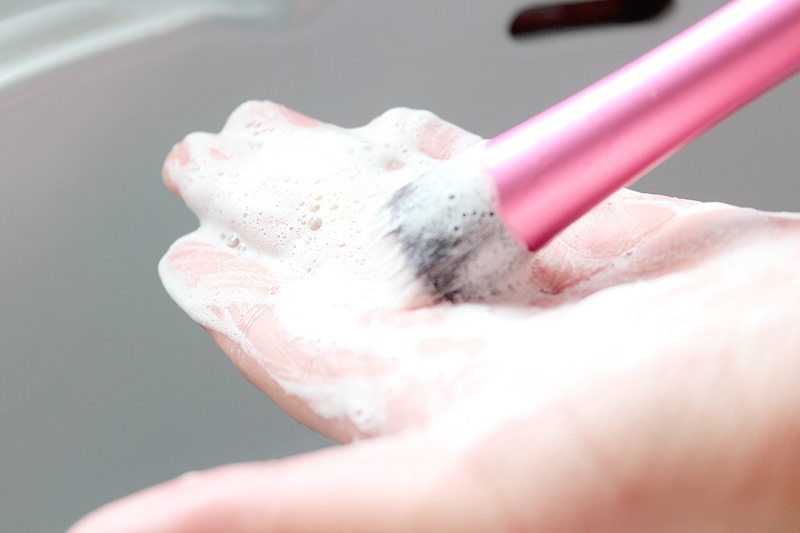 I like to make my own makeup brush cleanser, its basically baby shampoo, some leave in conditioner, a touch of washing up liquid (to de-grease), alcohol and water. I love it and its cheap as chips to make! Yeah their products are good, I'm unsure why it felt so dry on my face when I used it but I used it to take my make-up off last night and my face felt o.k. afterwards *shrugs* but I like multi-purpose products cos it also helps to cut down on other items. 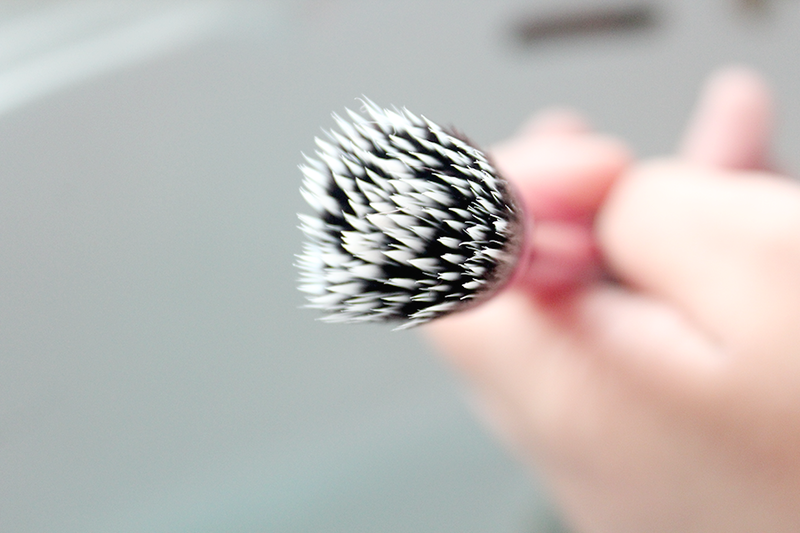 Yes, keeping the brushes clean is one of the hassling things for me. I hope this would make it easy for me too. These soaps are fab! I love the mint one for cleaning my brushes.